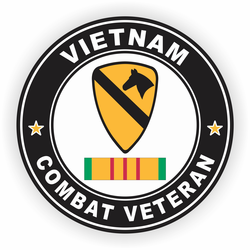 This Vinyl 1st Cavalry Division Vietnam Combat Veteran with Ribbon sticker is our exclusive design. 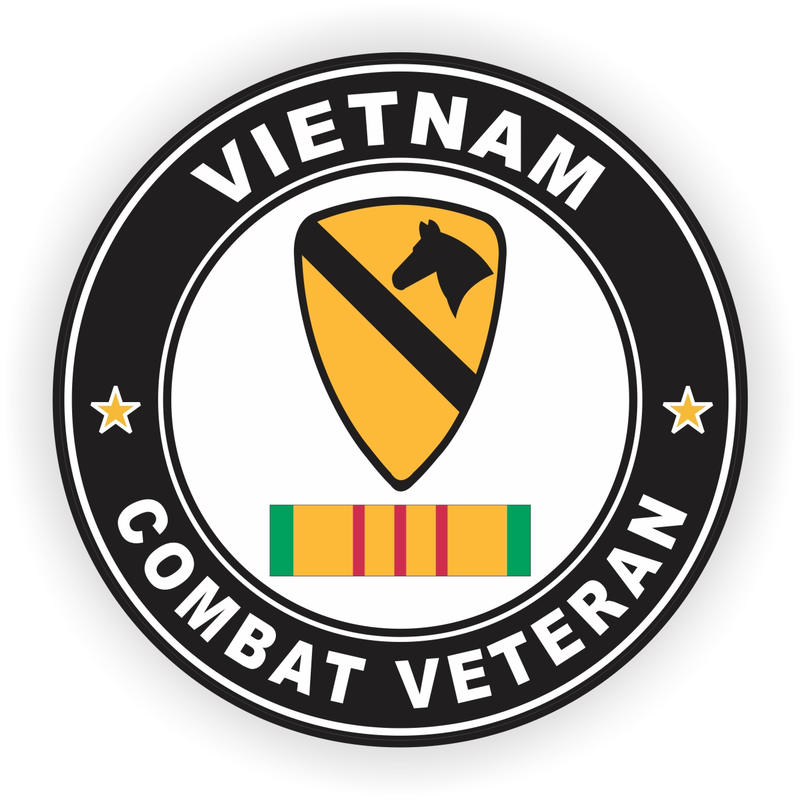 Our combat veteran decal is make at our facilities in Scottsboro, Alabama. This sticker measures on its longest side and it is designed for outside application. For bulk pricing for custom and wholesale decals click here:Custom & Wholesale Decals!